Patrick Henry was born on May 29, 1736 in Hanover County, Virginia. His Stamp Act Resolves in 1765 sparked a wildfire of opposition to the Stamp Act and the British government up and down the colonies. He is most well-known for his famous "Give me liberty, or give me death!" closing line in a speech given at St. John's Church on March 23, 1775, in Richmond, Virginia during the Second Virginia Convention. The Virginia House of Burgesses met in Richmond, which was a small little town with a population of about six hundred at that time, because Lord Dunmore, the Royal Governor of Virginia, disbanded the House of Burgesses in Williamsburg. To avoid confrontation with Dunmore's British soldiers, the House of Burgesses met in Richmond, west of the colonial capital of Williamsburg, at St. John's Church, which was the only building in Richmond large enough to accommodate the members of the House of Burgesses. While many people recognize the line, "Give me liberty, or give me death!" few are familiar with the entire speech. 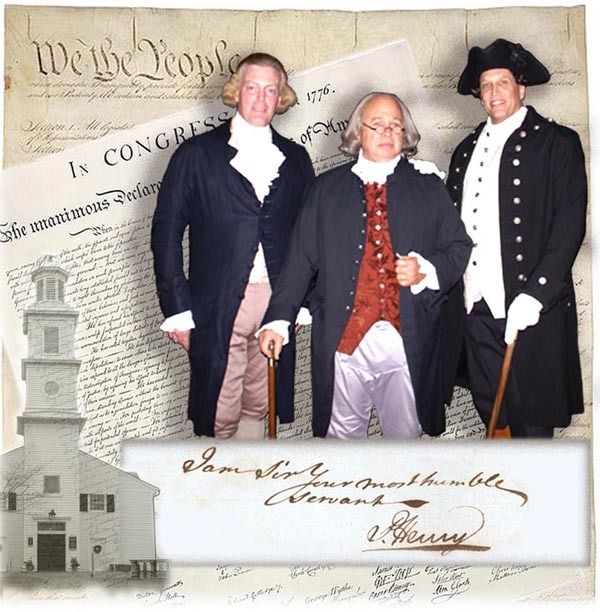 It is the singular power of this speech that inspires Michael L. Oddenino to perform its reenactment to help capture the riveting nature of Patrick Henry's oratory. Thomas Jefferson, who witnessed many of Patrick Henry's speeches, commented that, "Henry spoke as Homer wrote." 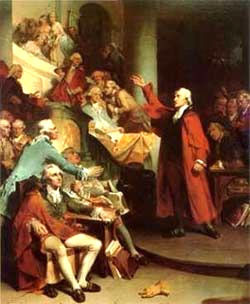 Read the entire speech: Patrick Henry's Speech. To arrange for Michael to perform for your organization, simply send an email to host@patrickhenrylive.com. and Michael L. Oddenino as Patrick Henry.